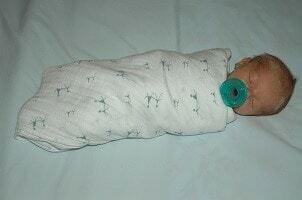 How to swaddle your baby is one of the first things you learn as a new parent or caregiver. You’ll soon realize that some swaddle blankets make things much easier than others. They can also make your little one feel much more comfortable and calm. 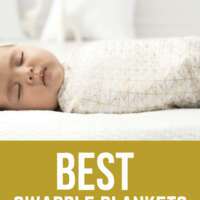 On this page, we will show you the best swaddle blankets to help your newborn feel comfortable and relaxed. Perhaps the biggest benefit of swaddling is that it helps reduce the risk of SIDS. Swaddling makes it harder for babies to inadvertently cover their heads or face with bedding and it can help decrease their ability to flip onto their stomachs. Finding the best swaddle blanket can be quite the task. There are so many options out there in today’s market you may not know which one your child will prefer. There are a few important things to consider: the type of fabric, is it breathable and how easily can you wrap your little one with it. 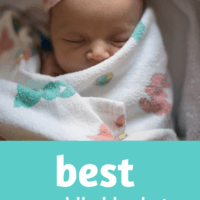 We have done the hard work for you and you can see our 5 favorite baby swaddles below. What parents love about these swaddles is the more you wash them the softer they seem to get. Made out of 100% cotton muslin, they are really soft on an infant’s skin. They have a lovely stretch and this makes it easier to tuck and wrap your little one. The breathable fabric is perfect for helping to reduce the risk of overheating. 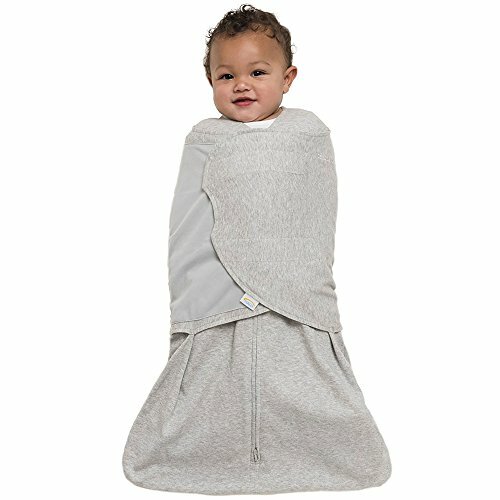 This makes these aden and anais swaddles great to use in both the summer and winter. With stylish and cute prints, these blankets are sure to grow with your baby. At 44″ by 44″, they are a bit smaller than others we featured. A complaint from caregivers and parents is that babies can break out of theses swaddles a bit too easily. However, most swaddle blankets have this to some degree. A lot will depend on how good your swaddling technique is! Another great thing about these aden and anais swaddles is their versatility. You can use them with a stroller and as a nursing or changing table cover. It also makes a great tummy time blanket as well. 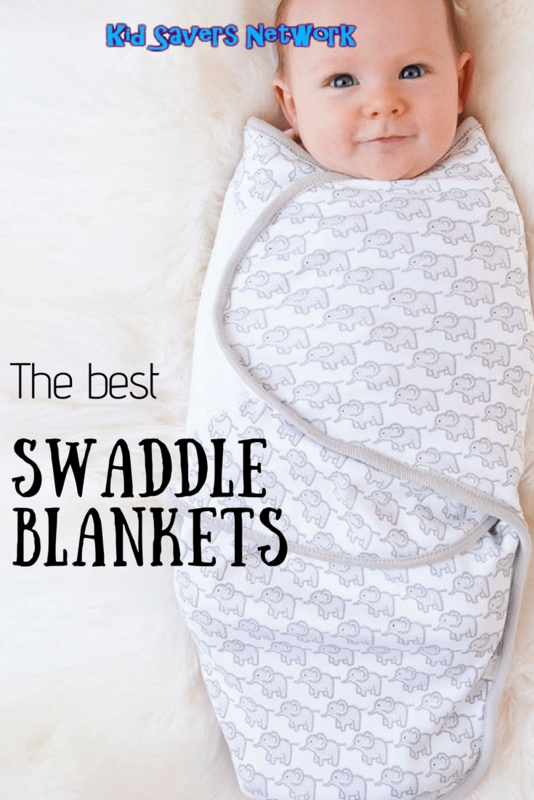 Parents love these so much, they’re currently one of the best-selling swaddle blankets on the market today. The Halo Sleepsack is also made out of 100% cotton microfleece and is 3-way adjustable. What makes these blankets stand out is their price. They are considerably less than other muslin blankets on the market today. These blankets can also be used in other ways and are not just for swaddling. They can also be used as a burp cloth, for a nursing cover or for tummy time on the floor. Another great thing is they are available in preemie, small and large sizes. You need to know these are a no-brainer way of swaddling your baby. This makes it easier for your baby to get comfortable sooner. This can be prevented by tucking the ends in well to secure the swaddle. Many swaddles don’t go with Velcro as they find it irritates and scratches a baby’s skin. Once you get the technique down, this becomes less of a problem. 3-way adjustable swaddle adjusts to your babys sleep style. Swaddle arms in, hands-to-face, one or both arms out to ensure babys best sleep and an easy and gentle transition to the SleepSack wearable blanket when it is time to stop swaddling. Inverted zipper for easy diaper changes. No need to unswaddle. Discontinue swaddling when the baby shows signs of rolling over or breaking out of the swaddle wrap. 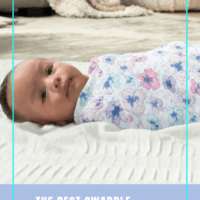 The Swaddleme Original Swaddle is a very lightweight and breathable swaddle for all seasons. These wonderful blankets allow for excellent air flow and are breathable even during those hot summer days. They can also keep your newborn just as warm and cozy in the winter. Swaddleme’s can have multiple uses such as a burpie, burp cloths, nursing blanket, stroller cover or a changing table cover. They are made out of 100% cotton muslin and come in a large size – 47” x 47.” This really helps keep them comfortable and secure. What parents really like about the Miracle Blanket is that there is no Velcro to scratch or wake the baby. This proves to be important when you have those late night diaper changes and feedings. Another cool thing about this blanket is it’s easy to swaddle. No origami folding and it truly does keep baby’s arm secured and wrapped tight. The fabric is thin so in winter, you may want to layer with warmer pajamas underneath. A drawback to the “Miracle Blanket” is it can only used for swaddling. It does not have multi-uses like others on our list. Also, it will only last you a few months. As soon as your baby can flip themselves over to their tummy by themselves (4 – 6 months on average), this blanket should not be used. The Muslin Swaddle Blankets by CuddleBug really stand out against the rest. What makes them so great is the large size and they come in a pack of 4. They are made out of 100% muslin cotton with a beautiful and classic print. 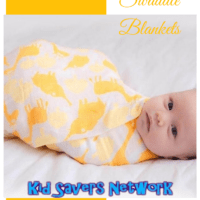 You can use these blankets not just for swaddling but also as a picnic blanket, changing blankets, car seat covers, etc… The list is endless! Another great bonus about the Cuddlebugs is that they come with a lifetime guarantee. If your blanket rips or fails you in some way they will send a replacement free of charge! For this alone, they must qualify as one of the best swaddle blankets. While it was hard to imagine any cons with this blanket, you do need to have a pretty good swaddling technique. There is no Velcro or other method to secure the swaddle.